It’s a slow day at work. You’ve spent the morning making phone calls, trying to drum up some new business, but nothing’s happening. Try as you may, call after call comes up with nothing. The other guys in your office are having the same kind of luck. They’ve been calling and calling, but still no one has been able to make a sale. Then a guy comes and sits down at your desk with you. He tells you to put it on speakerphone. Nothing’s been working all day, so you decided to give it a try. Then, he tells you to call back all the same numbers you had just called. And without saying a word, you start making sales. You go back through the same list, and all of a sudden, everyone is buying. Your partners decide to do the same thing, and the same thing happens to them. They get overwhelmed with sales. It’s the best sales day in the history of the company, and yet no one knows what changed. How would you respond? What would you do, if someone came into your world and changed everything without saying a word? Now Jesus was standing by the Lake of Gennesaret, and the crowd was pressing around him to hear the word of God. 2 He saw two boats by the lake, but the fishermen had gotten out of them and were washing their nets. 3 He got into one of the boats, which was Simon’s, and asked him to put out a little way from the shore. Then Jesus sat down and taught the crowds from the boat. 4 When he had finished speaking, he said to Simon, “Put out into the deep water and lower your nets for a catch.” 5 Simon answered, “Master, we worked hard all night and caught nothing! But at your word I will lower the nets.” 6 When they had done this, they caught so many fish that their nets started to tear. 7 So they motioned to their partners in the other boat to come and help them. And they came and filled both boats, so that they were about to sink. 8 But when Simon Peter saw it, he fell down at Jesus’ knees, saying, “Go away from me, Lord, for I am a sinful man!” 9 For Peter and all who were with him were astonished at the catch of fish that they had taken, 10 and so were James and John, Zebedee’s sons, who were Simon’s business partners. Then Jesus said to Simon, “Do not be afraid; from now on you will be catching people.” 11 So when they had brought their boats to shore, they left everything and followed him. 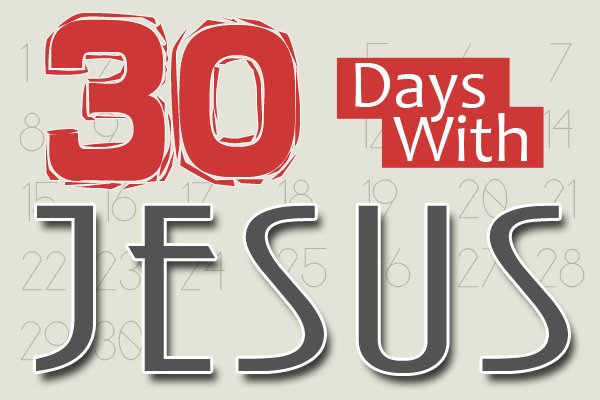 Spend some time remembering how Jesus came into your life. Were there things that you had been doing for years that never worked, but all of a sudden your life started coming together? Spend some time rededicating yourself to being a disciple of Christ. You are not longer here to make sales calls, you are here to reach the world. “Go away from me, Lord, for I am a sinful man!” That’s the way we all feel when we come face to face with Jesus. But what caught me today as I read this again was His reply: “Do not be afraid.” He didn’t say you need to get your shtuff together before I can use you. He didn’t say go home and take a bath or even acknowledge the fact that yes, he was a sinner. He took him just as he was and the journey began.